All Giants’ Training sessions for young people are tailored to meet the specific needs of schools, colleges, universities and youth organisations. (Please note: participants do not need any drama or performance experience). Follow the links below to find out more about our range of workshops for young people. Using innovative theatre techniques, we will facilitate participants to develop their individual skills, enabling them to speak in their own authentic voice, with confidence. In a supportive training environment, participants discover how to be fully present and aware at every moment, and enhance their interpersonal communication. 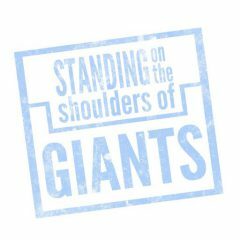 Using exercises and techniques similar to those outlined in our Public Speaking and Presentation training, Giants’ sessions will enable students become more aware of how they affect others as they engage in everyday situations and conversations. Through exploring situations which echo those they may confront in the wider world, students will experience first-hand how they respond to challenging circumstances. Giants offer bespoke, classroom-based training for students. This could include working on set play texts, or fiction. Giants run acting workshops that can be brought to your school or community group during school holidays. I began to see people as having their own separate stories, not just being people I didn’t get on with or didn’t know. I felt inspired to be more open and thoughtful about myself and others and to try to be the best I could be. Jennie inspired a passion from my students that many hadn’t shown in a long time… I can’t recommend highly enough the work Jennie does with students – she inspires!